Interested in a unique gift? 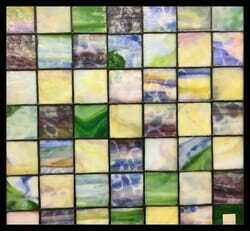 Stained glass art is a wonderful hobby and a great talent. We offer gift sets which include pre-cut stained glass that is ready to be assembled. These sets are perfect for an introductory stained glass hobbyist or those who have a passion for stained glass. Classes are a great gift idea. We offer classes every night of the week with Sleepy Eye Stained Glass's owner, Mike Mason. Make sure to check out our section on classes for more information.